How would you like to learn the latest techniques in urban farming and gardening… for free? 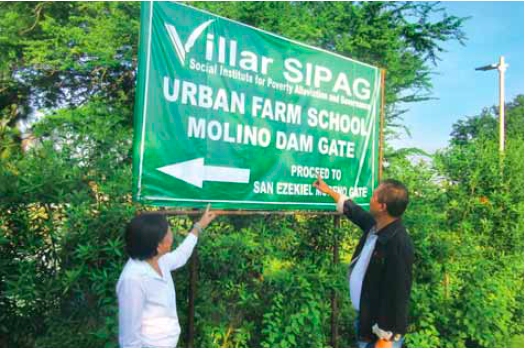 That is now possible, thanks to the new Villar SIPAG Urban Farm School that was inaugurated on September 15 in Barangay San Nicolas-1 in Bacoor, Cavite. The Urban Farm School is just across the river from where the Villars live. 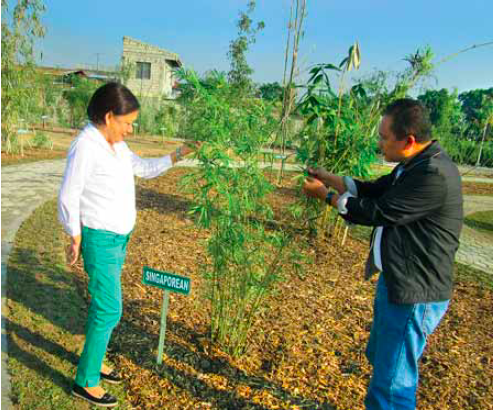 It is within the leisure farm that Sen. Cynthia Villar has just started to develop. 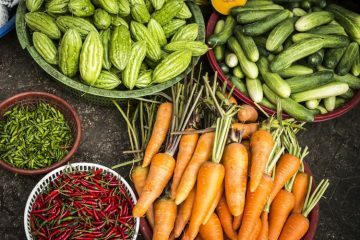 The place has enough space where enrollees—men and women of all ages—can do actual hands-on practice in planting and taking care of their favorite vegetables and other high value crops. For a start, over 200 residents of Las Piñas and nearby communities in Cavite have enrolled in a season-long training program being conducted by the SM Foundation for free. The signage on the way to the farm school. the partner of SM Foundation in its “Kabalikat Sa Kabuhayan” farmers’ training program. The participants have started to attend lectures and then implement in the field what has been taught to them. These include doing actual seedling production, land preparation, basal fertilization of the plots before the seedlings are planted, applying plastic mulch to prevent weed growth and to conserve moisture during dry weather, and caring for the plants during their vegetative and fruiting stages up to harvest time. Ceremonial planting during the launch of the farm school. From right: Sec. Neric Acosta, Rep. Mark Villar, Sen Cynthia Villar, Christie Angeles of the SM Foundation, Toto Barcelona of Harbest Agribusiness, and two other guests. At the end of the 12 weekly sessions on December 15 (of 2015), the plants will be ready for harvesting and a harvest festival will be held so the trainees can show off their own produce. Sen. Villar said during the launching that planned with the help of Dr. Frank dela Peña is a food processing facility to add value to the harvests of the farmers that might not be absorbed by the fresh produce market. Dr. dela Peña, who runs an organic farming institute in Panabo City in Mindanao, is a food processing expert. He was a visitor at the launching. Sen. Villar stressed the importance of food production in the urban areas. It is one way of ensuring food security in the big cities, especially Metro Manila. The country is disaster-prone and in times of calamities, the farmers in the provinces might not be able to deliver their usual supply to the big city. 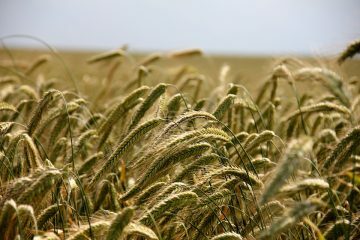 Thus, urban food production will save city residents from high food prices. the Urban Farm School is offered free for groups or agencies who would like to undertake technology transfer in urban farming. boats of 62 bamboo varieties. Aside from the SM Foundation, seed companies like East-West Seed or Allied Botanical may want to put up a demo farm where they can show to the public their improved techniques of urban food production. 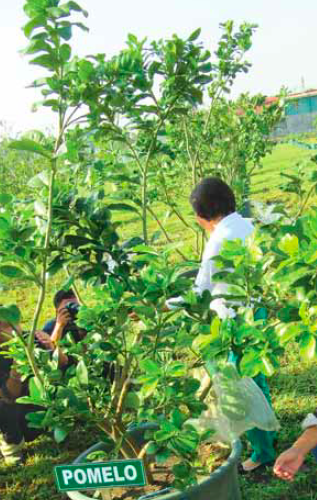 Aside from the growing of crops, another activity being By the way, the farm school is just one part of a bigger project that is the leisure farm envisioned by Sen. Villar. 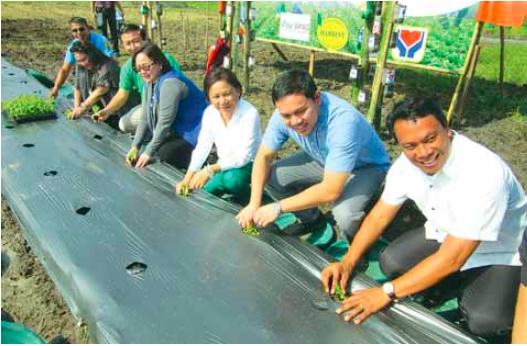 This could eventually become a favorite agri-tourism destination that is accessible to many people not only from the big city, but also people from the provinces. 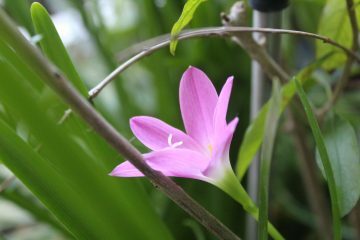 The farm has a collection of more than 60 bamboo species, various fruit trees in containers, and ponds for impounding water for irrigation as well as for fish culture. 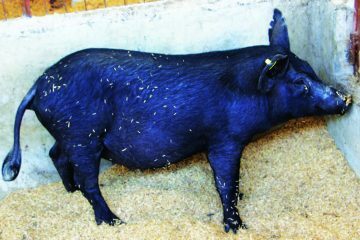 She also plans to put up a few dairy animals for milk production. We will keep tabs on the progress of this project. This appeared as “Free Training in New Urban Farming School” in Agriculture Monthly’s November 2015 issue. Please contact the subject of the article directly. Thanks.